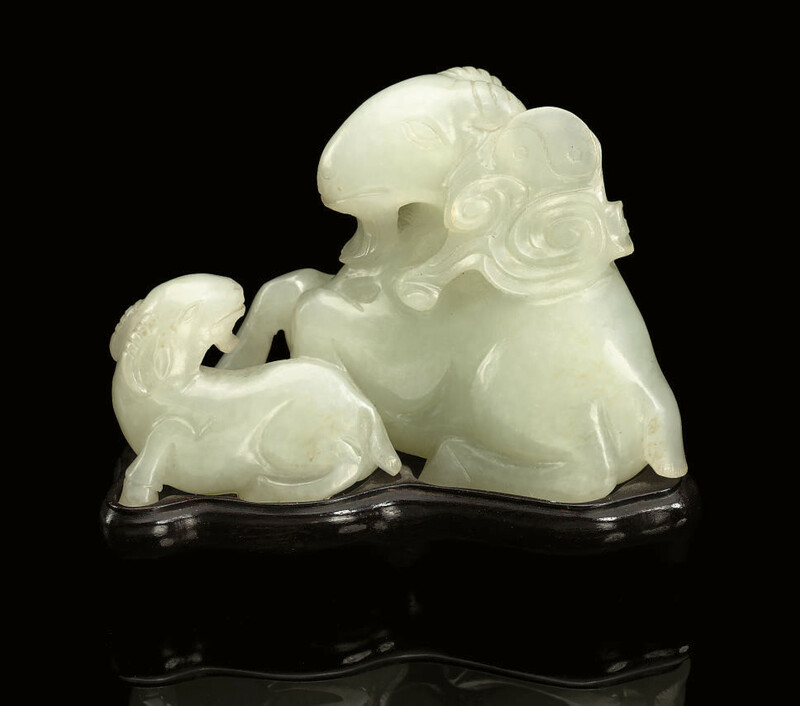 carved and pierced with two young seated flanking the adult, a yin-yang symbol carved amongst scrollwork to its shoulder -- 2½in. (6.4cm.) wide, fitted wood stand.